We are absolutely delighted that you are considering Planet Play as your child's party venue. With three party structures to choose from you are sure to find the perfect package to suit your needs. We have a dedicated team of 'Planeteers' standing by to ensure your day goes smoothly and with the minimum of hassle. We will take care of everything from the minute you arrive to the minute you leave. No fuss, no stress and no mess! contact us for more information. 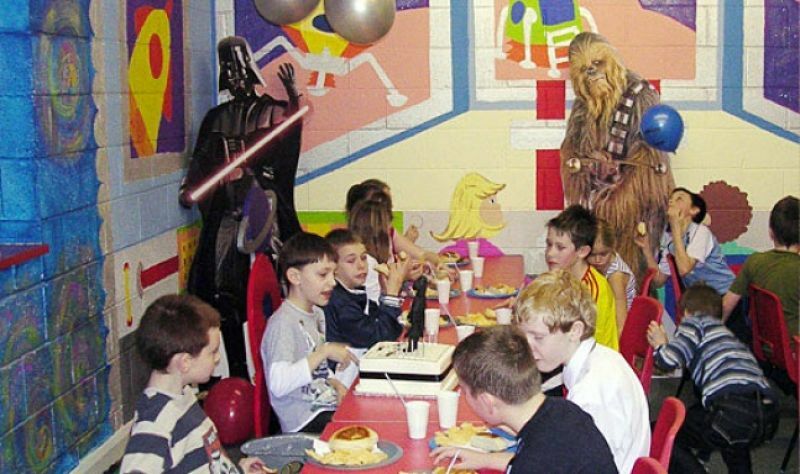 All Parties are two hours long* and consist of 1 hour 15 minutes play on Planet Play, followed by 45 minutes in a separate themed party room for party meal (choice of hot or cold menu) and party games with your own Planeteer.